Ralf Aust is a growing brand of high quality straight razors, that is reviving the quality of old world manufacturers like Wade & Butcher or Dubl Duck. Unlike other high quality straight razor manufacturing companies, Ralf Aust is a one man operation. The passion for quality can be seen in each beautiful offering! Ralf Aust has an excellent reputation by those who know him, and his notoriety as a dependable brand grows each year! 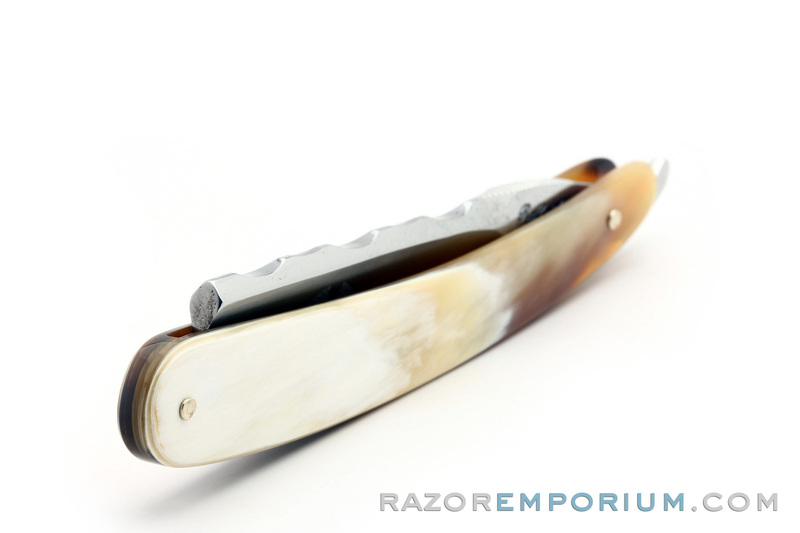 Y can trust you'll have a positive first experience if you pick up this straight razor today! 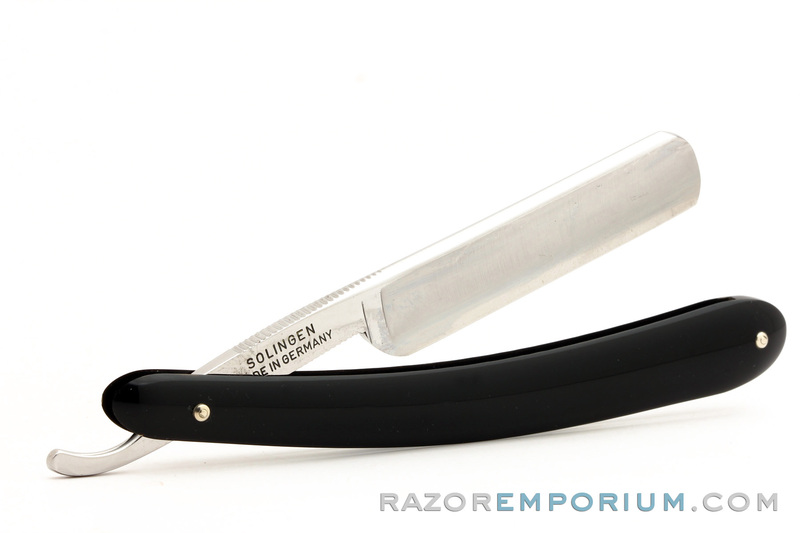 A brand new straight razor from Solingen, the standard straight for beginners with black travel case. Arrives 100% Shave Ready. This straight razor would be perfect for a beginner due to its round tip, hollow ground, and will last several lifetimes! High quality hardened 3" x 5/8" carbon steel blade is easy to judge angles, strop, & hone. Shave better. Shave cheaper. Shave like a man. A brand new straight razor from Solingen, a beautiful high quality custom razor with black travel case. Arrives 100% Shave Ready. This straight razor would be perfect for a beginner due to its round tip, hollow ground, and will last several lifetimes!